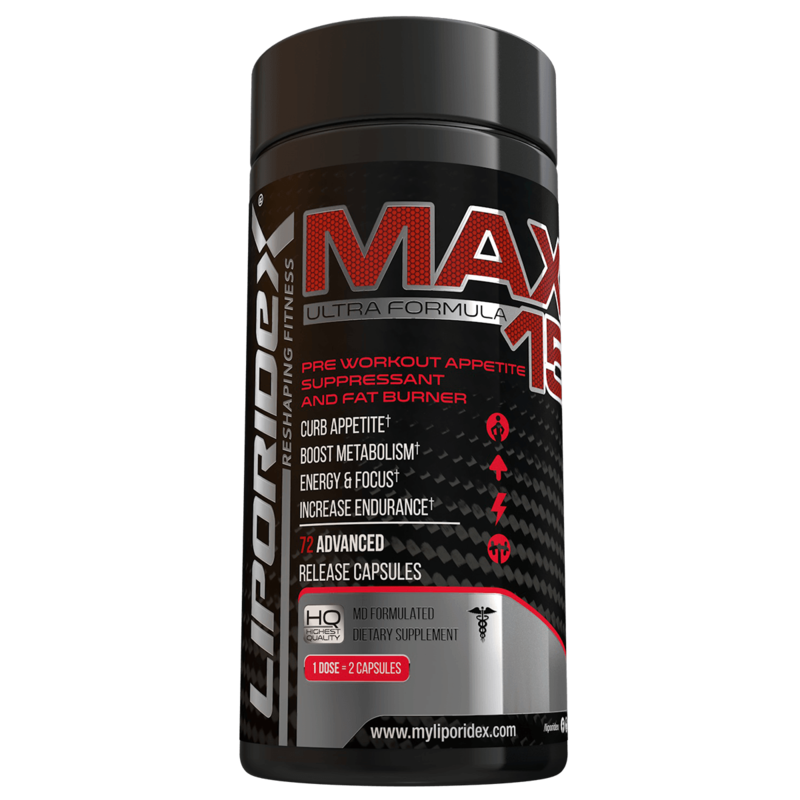 Liporidex MAX is an all-natural, appetite suppressant, energy booster and metabolism accelerator that will help you rapidly reach your weight loss goals while evenly maintaining your energy levels throughout the day. 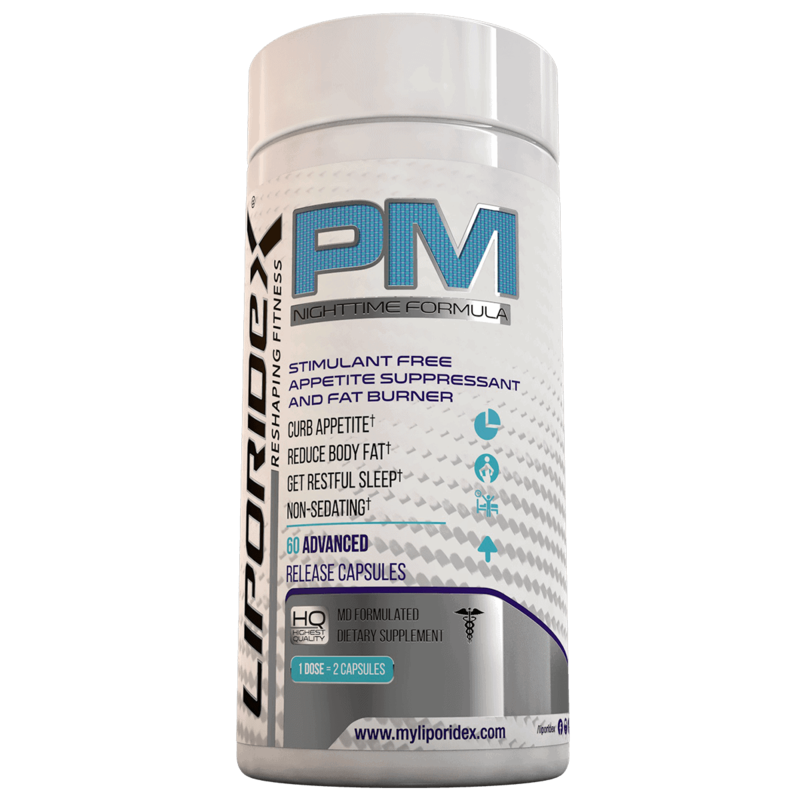 Its appetite suppressing ingredients allow you to easily adhere to reduced calorie diets so that you can lose weight faster – all while feeling great, energized and your most productive. 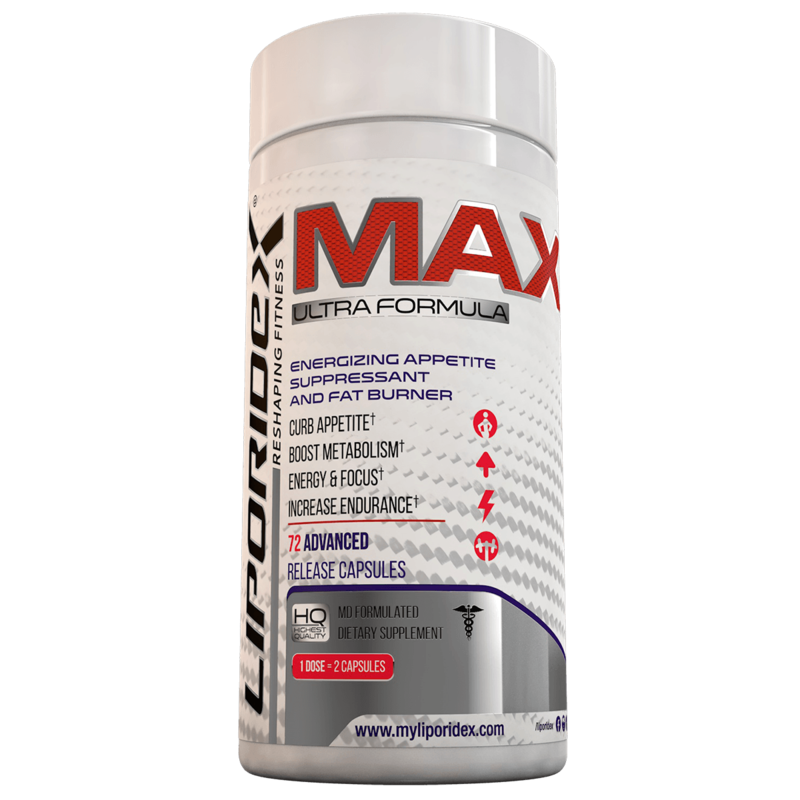 Liporidex MAX provides a long lasting boost of jitter-free energy, mental clarity and concentration, allowing you to increase productivity and have more energy for your busy lifestyle, without any negative side effects. 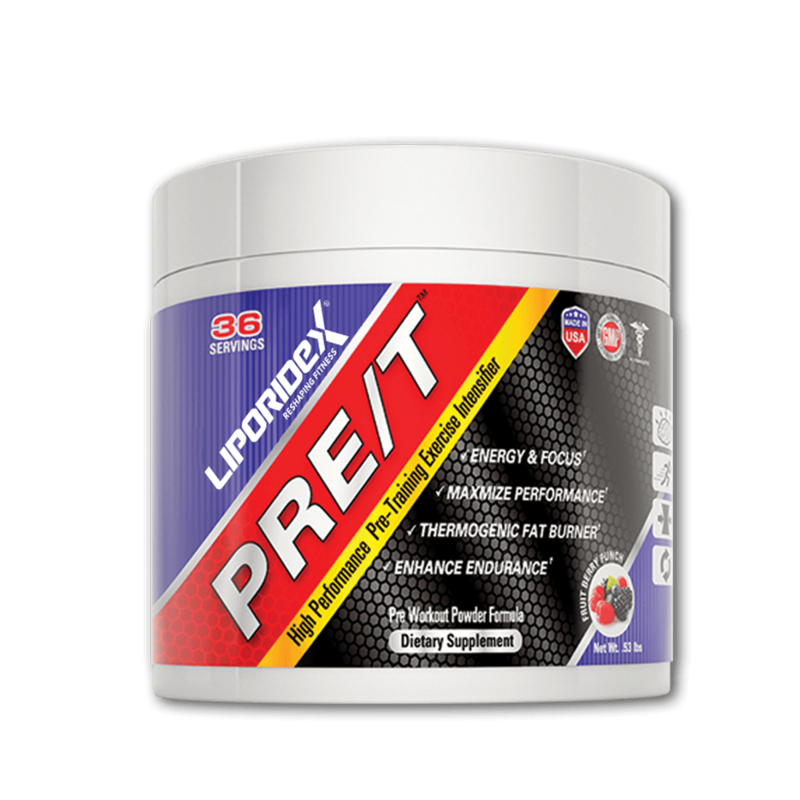 With Liporidex MAX, you’ll be able to easily maintain a caloric deficit, while powerful thermogenic agents help reduce unwanted body fat. 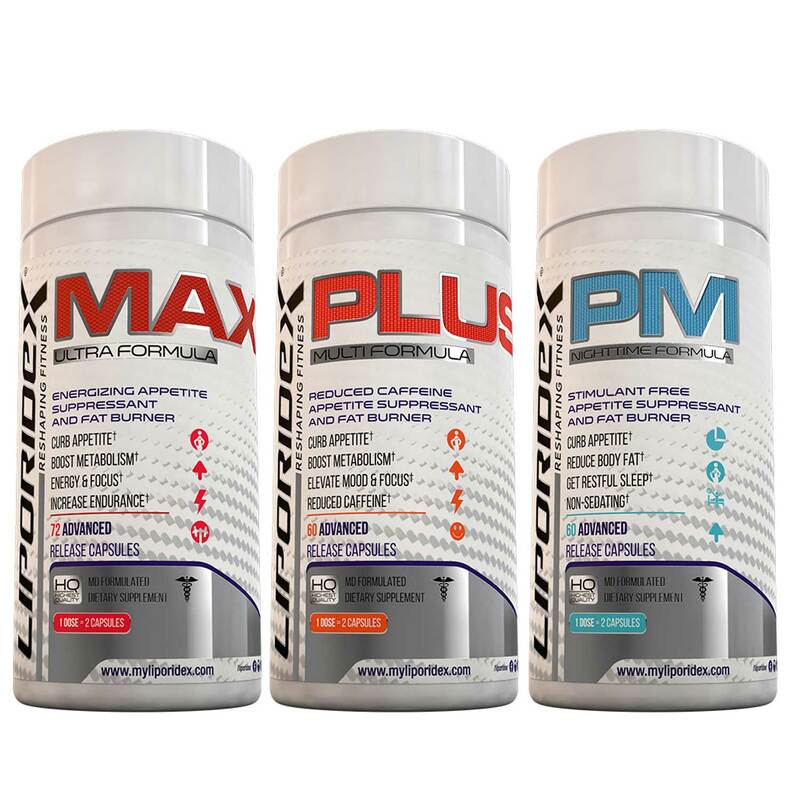 Liporidex MAX is an innovative weight loss aid that features clinically active dosing for the most effective appetite suppressant and fat burning supplement you can buy. And we don’t just promise it – we back it up with an unprecedented 90 day, iron clad 100% money-back guarantee. Start with ONE capsule to assess your sensitivity before moving to TWO capsules for the 1st dose of the day. You should take 2 capsules for your AM dose only AFTER you have assessed your sensitivity/tolerance to just ONE capsule. If you don't "feel" anything after taking ONE capsule as, then take TWO capsules together as your AM dose. Persons who consume more caffeine and stimulants tend to require 2 capsules for the AM dose, while those who are smaller or more sensitive tend to do just fine with one. Don't wait too long to take your afternoon dose! Similarly, it's important to take a 3rd capsule 5-6 hours after the 1st AM dose.